Markets World is an Isle of Man-regulated broker where you can buy binary options based on commodities, indices, equity and currency pairs. The minimum deposit is just 20 GBP, so you don’t have to part from a big lump of money to try out real-money trading at Markets World. Trades as small as 1 GBP can be made on this platform, so no huge bankroll is required to get started. The ability to carry out small trades also makes it easier to diversify risk even with a small bankroll. You can try out the platform for free using the demo account. The demo account is accessible from both browser and mobile app. The trading platform used by Markets World is not difficult to use. You can create a demo account to try it out with play-money first before you start trading with real money. The area where you select the asset or market is found on the left hand side. This is also where you adjust expiry time, trade size and trade direction. Below the trade size, the potential payout is shown, both as a percentage of your stake and in actual money. When you have used the BUY-button to confirm the purchase, your open position will be displayed in the open positions area. Unlike many other online brokers, Markets World will give you access to a demo account that isn’t limited when it comes to time or money. You can keep using your demo account for as long as you want, and if you run out of demo money, just contact the customer support and they will refill the account with new demo money for you. If you decide to upgrade to a real-money account, your demo account will turn into a real-money account and your demo account will be overwritten. If you still want to have access to a demo account, e.g. to try out investment strategies or learn about new platform features, simply create a new demo account. MarketsWorld accepts a wide range of banking methods, including VISA, MasterCard, debit cards from many different banks, and a broad assortment of e-wallets, such as Ukash and Neteller. The minimum deposit is 20 BGP. 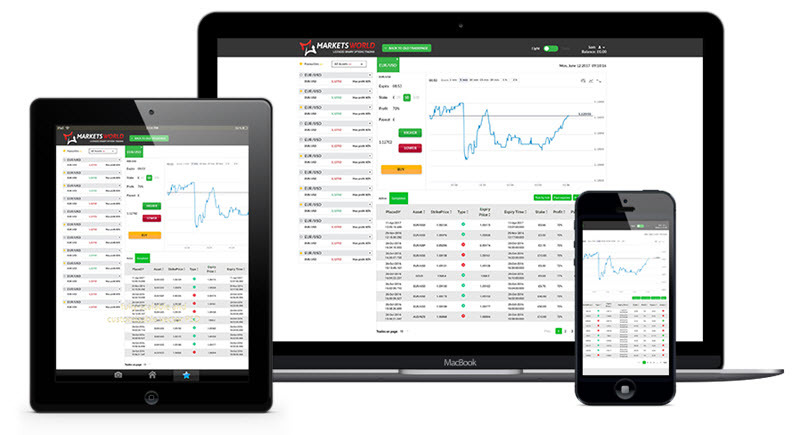 Markets World is a well-established online broker launched in 2011. The company is regulated by the financial authorities of Isle of Man.